UC Santa Cruz received a gold ranking from the Sustainability Tracking, Assessment & Rating System, a transparent, self-reporting framework for colleges and universities to measure their sustainability performance. 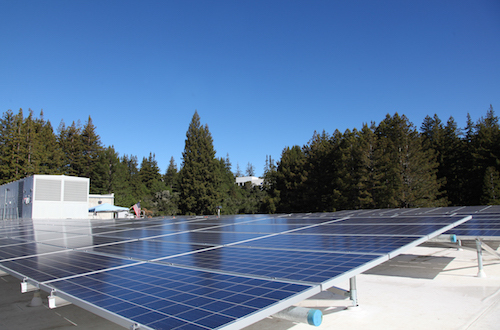 UC Santa Cruz received a gold rating from the Association for the Advancement of Sustainability in Higher Education (AASHE) Sustainability Tracking and Rating System (STARS), up from a silver rating in 2015. “Our rating underscores our campus’s commitment to sustainability and speaks strongly to many of our programs and innovations,” Sustainability Director Elida Erickson said. The AASHE gold rating report will be used by Sierra Club and Princeton Review magazines to develop their 2016 “Cool Schools” and “Green Colleges” rankings this September, which receive national attention. The report is public, and can be viewed online. The Sustainability Tracking, Assessment & Rating System (STARS) is designed by AASHE to be a transparent, self-reporting framework for colleges and universities to measure their sustainability performance.